To celebrate the release of Daredevil Season 2 on Netflix, we’ve teamed up with Entertainme nt Earth to give you a chance to win some exclusive Marvel collectables! We’ve got an awesome Marvel Thanos Infinity Gauntlet 16 oz. 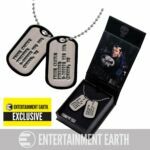 Prop Replica Molded Mug and Punisher Frank Castle Dog Tags Necklace Replica to giveaway! Entertainment Earth offers an ever-expanding selection of tens of thousands of licensed products ranging from action figures, toys, and gift items to high-end limited edition pieces and hard-to-find collectibles. Click here and here to check out the 2 awesome prizes! And for a chance to win them, enter via our giveaway app below! The competition ends at 23:59 on 17 April 2016. 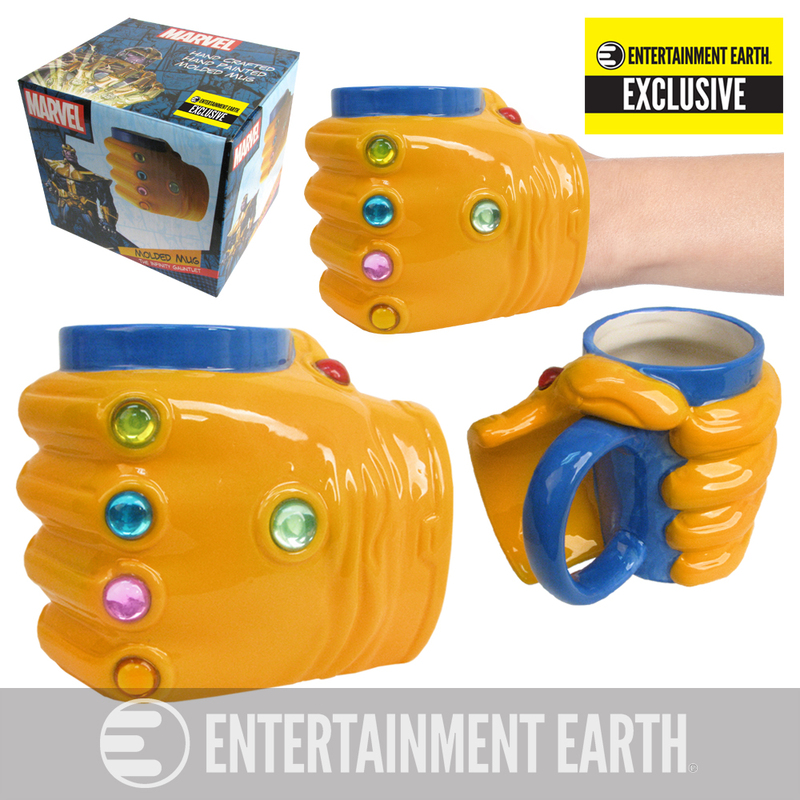 The prize consists of a Marvel Thanos Infinity Gauntlet 16 oz. 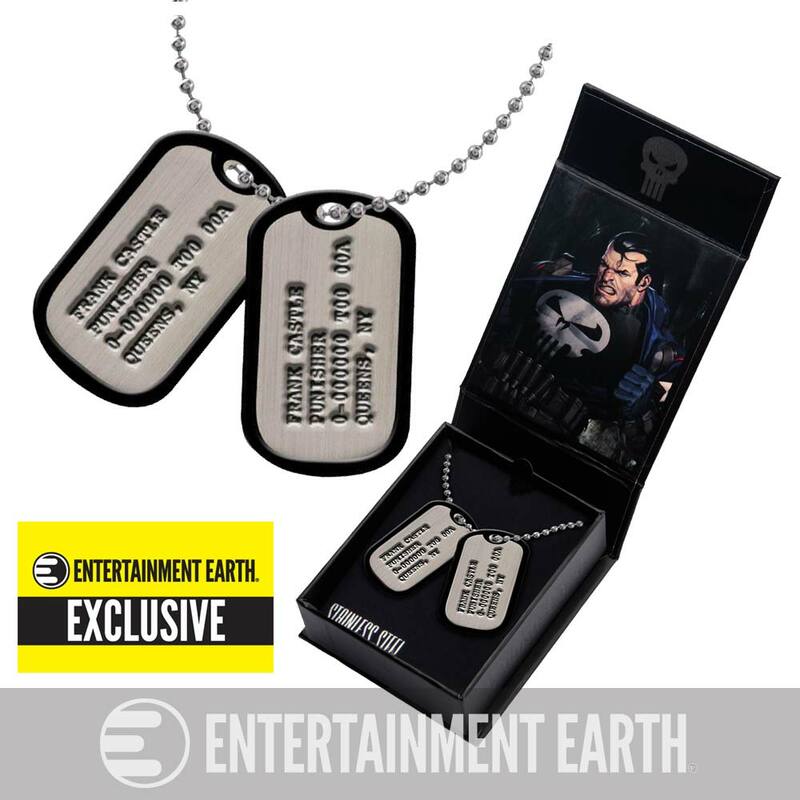 Prop Replica Molded Mug and Punisher Frank Castle Dog Tags Necklace Replica. By entering this contest you agree to allow up to 12 weeks for delivery, accept the fate of packages getting lost, stolen or damaged (neither Entertainment Earth nor Flicks And The City are responsible for replacement or compensation either in product, credit or currency) and a correct, valid physical address must be provided. 22 Comments for "Win Exclusive Marvel Collectables!" Loving the new season. Only up to Ep 5 though so don’t want to watch incase of spoilers! Have not seen any of this series but looks great. got 3 episodes left – i love the fight scenes this season! Just started watching season 1 amazing!! What’s an Easter Egg? Only kidding I just never seem to be able to find the d*mn*d things. Up to Episode 4 and loving it whilst eating my favourite CocoBean Easter Egg, the perfect combination. Loved it when Fisk finally popped up since we all knew he would. Reference in the first episode to Death Wish, the classic Charles Bronson film.